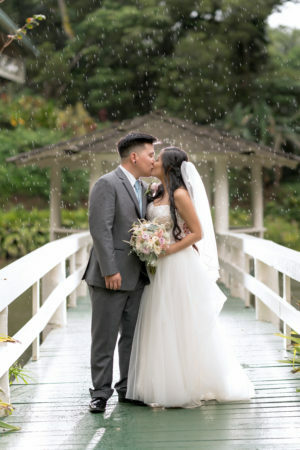 Congrats to this cute newly wed couple, Amelia and Aaron! 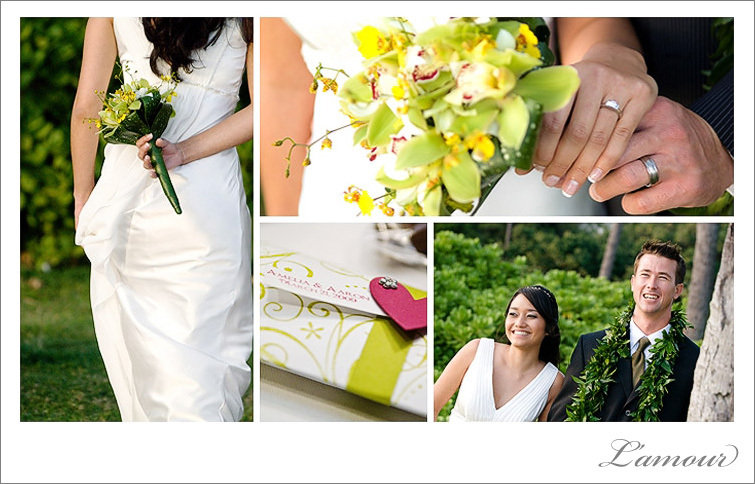 Eric and I were honored to be part of their wedding celebration at Hale Koa Hotel in Honolulu. This was by far the most musically talented family we have been around in a while. Amelia’s brother’s band provided the entertainment for the night with her other brother and sister joining in occasionally to help out on vocals or percussion. This wedding reception incorporated many personal touches including a family heirloom lauhala mat which was placed under the wedding cake. Of course, Eric will not let me blog about a wedding without mentioning the cake. This cake was from Cake Works and had the most delicious Haupia filling. For those of you who have not been fortunate enough to have heard of or tasted haupia, we suggest you change that soon. This creamy coconut cake filling was absolutely the stuff Hawaiian dreams are made of. We always try to keep our ears open for any juicy secrets or embarrassing stories that people may sneak into their wedding reception speeches. While we didn’t get to hear any blackmail material, but we were touched to hear some heartfelt praises of Amelia and Aaron as individuals and as a couple. So, if any of you have any funny/embarrassing stories you’d like to contribute… I’m just kidding! We wish Amelia and Aaron the very best in life and love! Congrats! 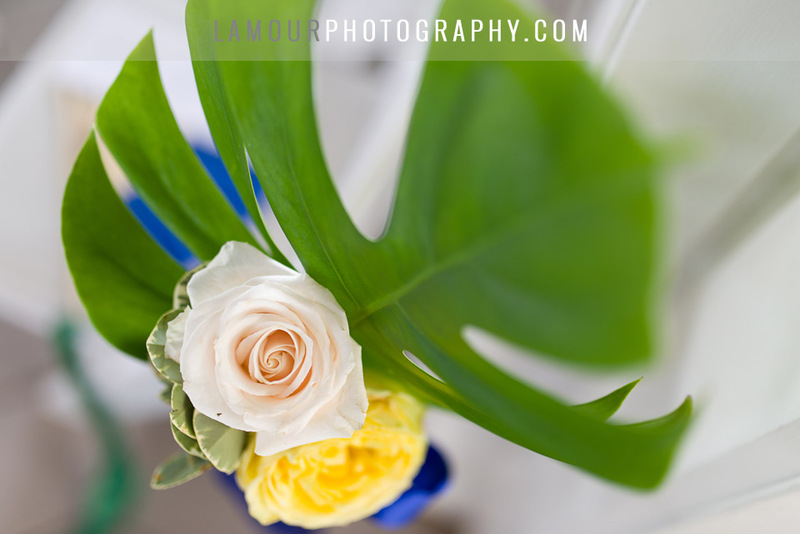 This entry was posted in Engagements, Events, Hot! 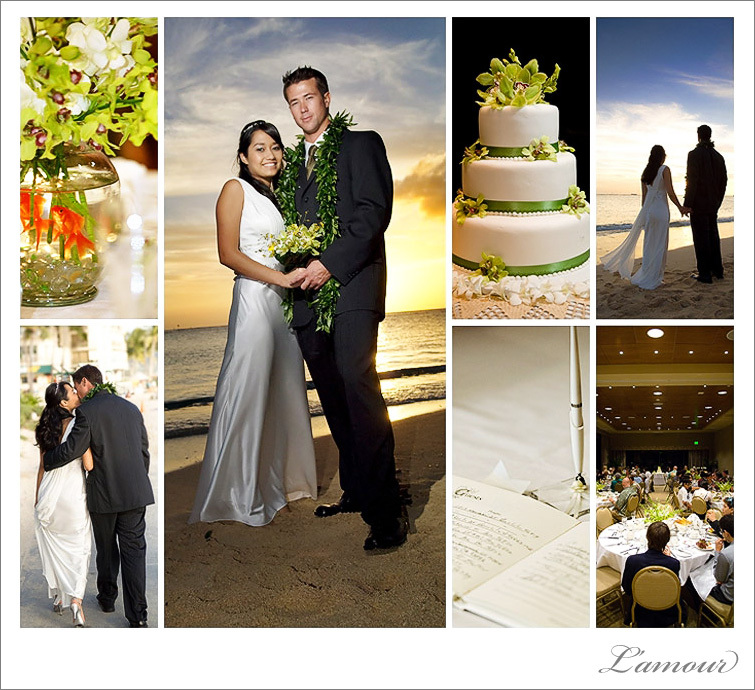 Wedding Ideas, Locations, Venues, Weddings and tagged Cake Works, Hale Koa Hotel, Haupia, hawaii, Honolulu, Lauhala, Waikiki Beach. Bookmark the permalink. Aaron and Amelia, a match made in heaven. We love you, and will always be here for you. Happiness and love and God’s guidance and blessings to you both forever. This was a great reception party. Lots of fun and fantastic pictures by Leslie and Eric, really captured the moment.